Students spend most of their waking hours in school. As such the campus is an integral component of the learning of our children and, of course, should be utilized as a learning tool. Ms. Varnell's grade 3 class was studying plants. 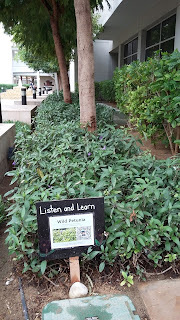 To make authentic connections the class decided to focus on plants that are all around us, right here on our campus. Through a short survey given to staff, parents and other students they discovered that, overall, there is a dearth of knowledge, which alarmed our young change makers. Did you know, for example, that the vast majority of our plants are non-endemic to this region? 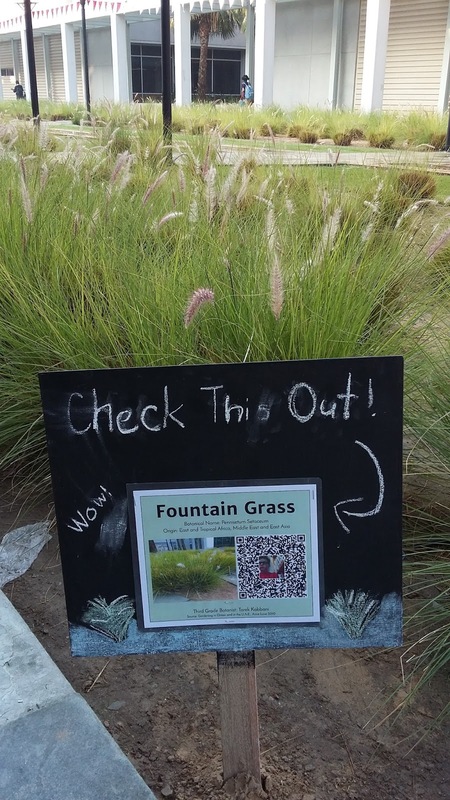 Did you know that there are over 20 species of plants on campus? 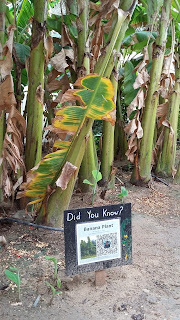 Did you know that we have banana plants and olive trees, fountain grass and neem trees? 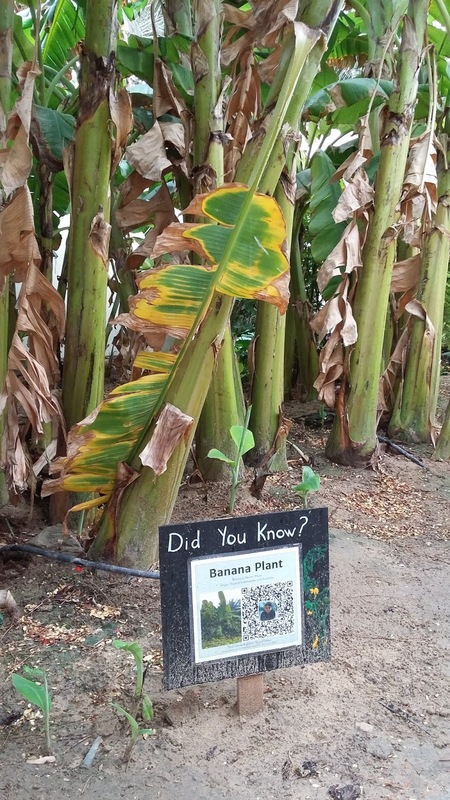 And, as a result of their service learning experience, did you know that technology can help you gain a better understanding of the plants that adorn our school? With the support of Ms. Varnell and Ms. Carden (in the Garden) the students did a "deeper dive" into the world of these plants. Where are they from? What characterizes them? 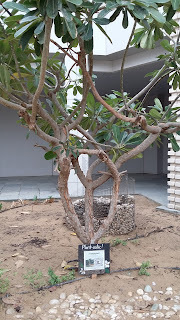 How can we identify them from other, similar, plant species? How do we take care of them? How can we address the fact that the community seems to walk by them every day yet know nothing about them? Their collaborative minds decided to create a set of informational plaques for the community (complete with tech-integrated QR codes!) 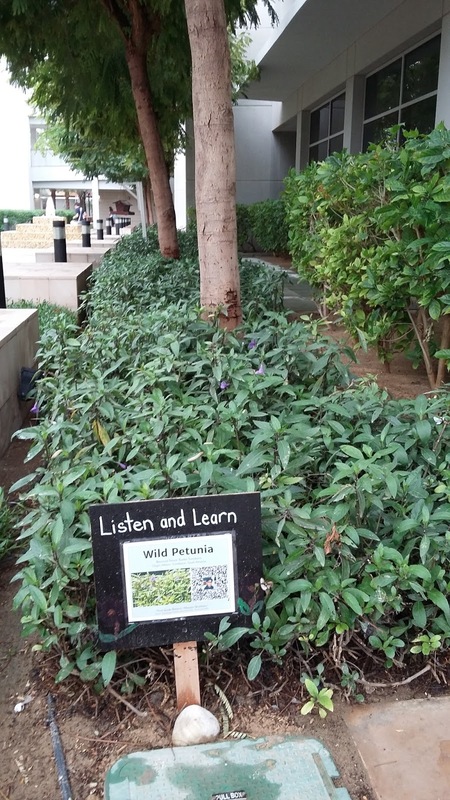 to generate an appreciation not only of the plants, but also for the learning that can be generated from our physical environment. 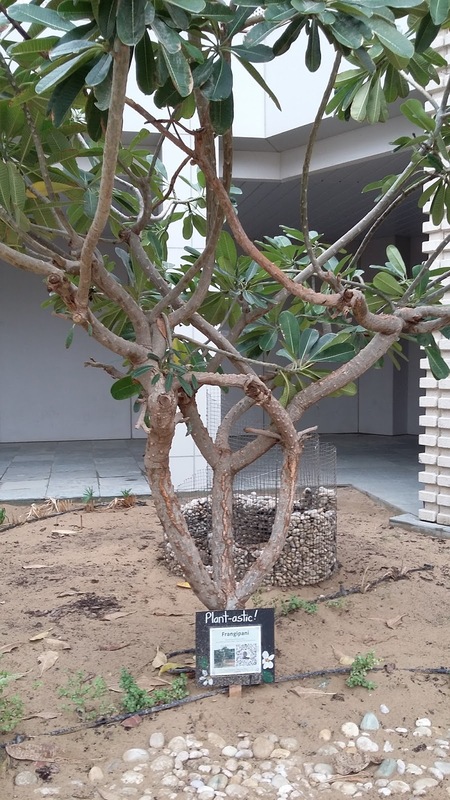 So next time you're wandering the campus please take a look around and, armed with your QR code reader, find out more about the plants that call our campus home. Way to go grade 3! Want to see more about their experience? Take a look at their video below!